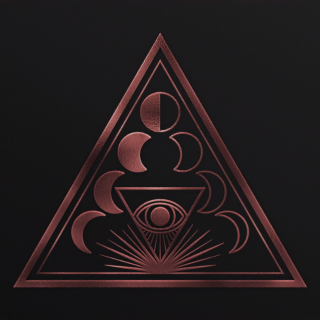 Soen : Lotus album download | Has it Leaked? On February 1, 2019, SOEN, the progressive heavy rock group featuring world-renowned drummer Martin Lopez (formerly of AMON AMARTH and OPETH), will release its fourth album, "Lotus", via Silver Lining Music. Having spent the last six months digging deep into the muddy depths of their emotions, the nine songs comprising "Lotus" are intoxicating, addictive aural therapies, questioning much of today's darkness while juxtaposing them with moments of great escape and hope. "We are all very fortunate to have this place where we can go and explore thoughts, perspectives and emotions which everyday life maybe does not have the room for," says Lopez, one of SOEN's founding members. "There are definitely things that we say, and places we go, in SOEN which would be very hard to express without us coming together and creating music." Produced by David Castillo and Iñaki Marconi at Ghostward Studios and Studio 6 between July and October 2018, the album marks the first recorded SOEN work of new Canadian-born guitarist Cody Ford, whilst the center-point of the album remains those trademark, snap-heavy, progressive SOEN riffs. Songs such as "Rival", "Covenant" and "Martyrs" are dissertations on modern societies, fraught with poetic, finitely designed confusion and chaos, yet as the name "Lotus" suggests, there is still strength, beauty, and purity to be extracted from what at times seems like an endless cycle of human regression. "The world right now is undeniably a very strange, tense place," says Lopez. "I think the songs clearly reflect that, but they also reflect that we must now be stronger than ever in challenging, confronting, and dealing with the pandemonium life throws at us all." The lavish "Lotus" artwork features nothing other than an enigmatic and engaging copper-reflective pyramid, offering elements of the sixth sense and greater consciousness before gate-folding open to reveal a girl touched by the copper aura. "We each have our own personal ideas as to what it means," says Lopez, "but we'd much rather discuss what others think, what our audience thinks, what the media thinks... I think it's extremely important that we all communicate with each other and take the time to fully conceive our own meanings and interactions with life and creativity." "Ultimately," concludes Ekelöf, "'Lotus' is about rising from whatever darkness, or dark places, you might find yourself. And its inspiration comes from a deep motivation to not just settle for the situation you might find yourself in. 'Lotus' is about changing life — both your own and your surroundings for which we must all take responsibility — and make them better rather than letting darkness pacify you and take you down."